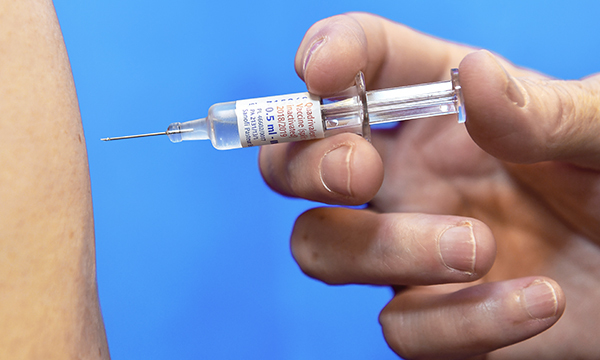 MPs have urged the government to consider mandatory flu vaccinations for specific healthcare workers, following news that uptake is as low as 30% in some NHS hospital trusts in England. A report published today by the Commons Science and Technology Committee states: ‘Despite the 2017-18 season having the highest flu vaccination uptake ever in healthcare workers, significant variation remains. Last winter saw the highest number of hospital admissions for people with flu in a decade, according to NHS England. Figures from NHS Improvement for last winter showed that as many as 4,000 beds each day may have been occupied by patients with flu, and that as many as 500 patients with flu were being admitted in England each week. The committee’s report, Flu Vaccination Programme in England, shows that 68.7% of eligible healthcare workers received the vaccine in 2017-18, up from 50.6% two years previously. The vaccine uptake rate for nurses during the 2017-18 period was 65.2%. The report said: ‘The government should undertake a review to establish whether flu vaccination should be mandatory for certain categories of healthcare workers. RELATED: Legal advice: Do I have a professional duty to have the flu vaccination? NHS England said last month that all staff working in ‘higher-risk’ departments will be expected to get a flu vaccination this year as part of its winter plan. Professor Jane Cummings, chief nursing officer at NHS England, said: ‘NHS staff did a remarkable job last winter as the health service faced a perfect storm of flu, stomach bugs and unusually severe weather.